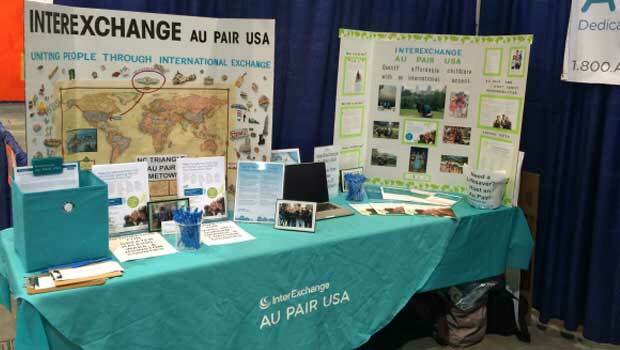 The International Festival of Raleigh celebrated its 30th anniversary this year, and InterExchange Au Pair USA was excited to participate in the Festival. Our booth shared about our opportunity for local families in the Triangle to host au pairs for child care and cultural exchange. Over 20,000 people attended the 3 day event! The Festival filled the Raleigh Convention Center during October 9-11, 2011. It began on Friday afternoon at 2:30pm with the Naturalization Ceremony where 107 people became US Citizens. They represented 43 countries of origin. At 4:00pm on Friday the Festival was in full-swing. There were 65 countries represented during the weekend through Cultural Booths, Vendor Booths, Food booths, musicians, and dancers. A highlight each year are the 28 Food Booths where visitors can try foods from around the world. You can have breakfast in France, lunch in Afghanistan, dinner in Vietnam, and then have dessert in the Netherlands without ever leaving the Convention Center! 2000 Dancers participated in 200 dances throughout the weekend, so there was never a dull moment on the dance stage. 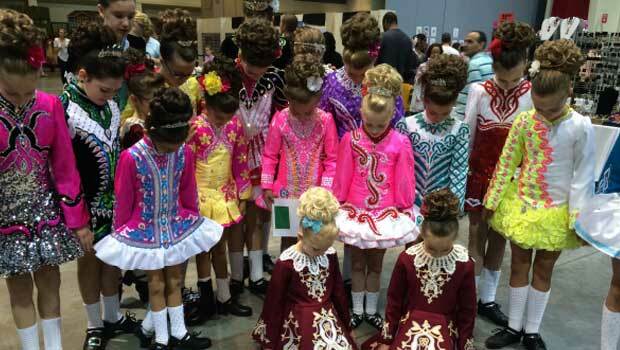 These Irish Dancers stopped for a moment to show off their beautiful costumes on their way to the stage. InterExchange Au Pair USA of Raleigh and Chapel Hill/Durham were excited to be first-time participants. We shared about the au pair program with potential host families, and had a fun magic mask craft for the kids to do. It was a great weekend, and we appreciate everyone who worked so hard to make the festival a great event. Thank you to all the people who stopped by our booth to say hi!